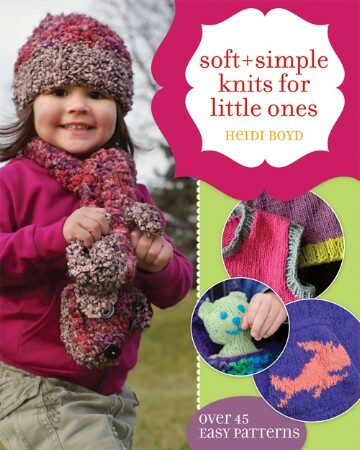 This book is packed with tons of bright and cute handknits to make for the special little ones in your life, whether you're a beginner or an expert knitter. Best of all, every design is functional and touchable, guaranteed to get plenty of use and love. From a cozy stroller blanket with clever ties and a pocket for a small stuffed bear, to a cotton rollneck sweater with an intarsia giraffe, this book has something to make any wee one happy. These knits are so fast and easy, you can create a soft and simple gift in a single afternoon. Get started today! Heidi Boyd is the author of seven North Light craft books, including Simply Beautiful Beading and Simply Beautiful Beaded Jewelry. She is a freelance artist, creative designer and photo stylist, and is also a regular contributor to many crafting magazines.